For the first time in its history, the Pentagon now has an audit underway of its 2017 financial statements, a project that’s almost guaranteed to end without a clean opinion. Nonetheless, it will be a gargantuan effort. DoD expects to spend $367 million this year just to conduct the audit and another $551 million to fix the problems its auditors find. The costs are likely to decrease somewhat in the subsequent years of what DoD vows will be an annual audit process. But the project’s manpower demands will be immense as well. By this spring, the Pentagon expects to have 1,200 of its personnel working full-time on the audit. However, the benefits are well worth those costs, David Norquist, DoD’s comptroller and chief financial officer argued before the House Armed Services Committee Wednesday. He urged lawmakers to maintain a sense of proportion: The $181 million dollars in fees the department is paying to independent firms to conduct the audit amounts to only one-thirtieth of one percent of DoD’s annual budget. The Pentagon remains the only federal agency that’s unable to pass a full scope financial audit, and legislation Congress enacted in 2010 and 2014 required the department to sufficiently improve the condition of its financial systems so that it could at least complete its first audit – pass or fail – by September of 2018. But Norquist said there are plenty of reasons for Defense managers to want to have auditable statements even if achieving that objective were not a statutory requirement, and argued that the innumerable workhours DoD has gone through to prepare itself for an audit had already produced results that proved the endeavor worthwhile. There are more concrete examples: According to DoD, the Defense Information Systems Agency (DISA) was able to reduce the rates it charges to its military customers by $230 million once its own audit process yielded a better understanding of its internal costs. Work the Navy undertook in preparation for its audit also saved $65 million, because it showed that it could automate much of the personnel-related data entry functions it had been previously paying the Defense Finance Accounting Service (DFAS) to perform. The department has already faced several setbacks in its multi-year audit plan, which originally called for individual military services to become “audit ready” before the department put its entire financial statement under auditors’ scrutiny. DoD officials initially celebrated in 2015 when the Marine Corps became the first service to pass a partial audit, but the DoD inspector general revoked that opinion after problems were discovered. To date, some Defense components – including the DFAS, DISA and the military’s retirement fund – have received clean opinions, but none of the military services have. At Wednesday’s hearing, Norquist offered no predictions as to when the full-scope audit will start to produce signs of progress. But to increase the chances that DoD will make the sorts of small, underlying business reforms it needs to in order to comply with audit standards, it has created a single, centralized IT system that will track each and every problem auditors uncover during the upcoming year. But Norquist cautioned that it will almost certainly take years before DoD takes enough of those small corrective actions to give its inspector general confidence that its financial statements are accurately stated. He noted that the Department of Homeland Security, where he previously served as CFO, took a full decade to earn its first clean opinion. 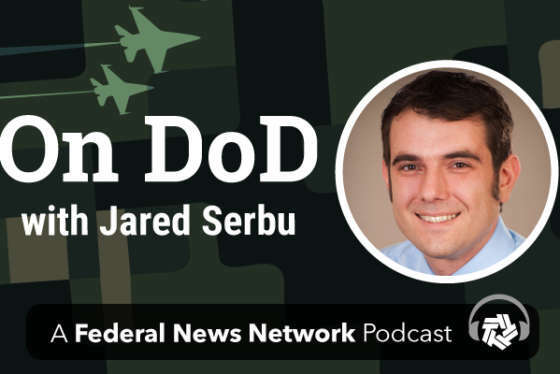 One reason is that DoD is placing a premium on setting up business processes that are workable year-after-year, but that still comply with audit standards. As a general matter, it’s not interested in creating manual workarounds that must performed just to satisfy the audit. To that end, Norquist said Congress and DoD itself are going to have to be diligent about what types of business systems they allow individual Defense components to procure, going forward. Norquist said the department’s financial community, by and large, was excited to have the audit process finally begin, because it validates the importance of the preparatory work they have been conducting for the last several years as various Defense components have been attempting to adjust their business processes to meet generally-accepted government accounting standards. But the current way forward — undertaking a costly audit process that’s certain to yield a disclaimer of opinion — has been criticized by some lawmakers. An amendment to the annual Defense authorization bill offered by four senators last September would have required DoD to focus first on the “feeder systems” that are vital to many of the Defense Department’s financial transactions.